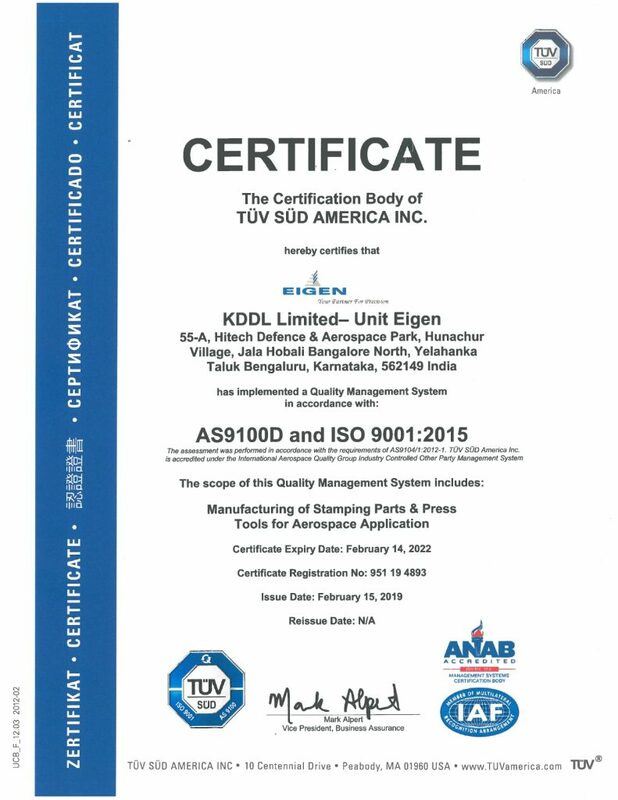 Obtaining The Certification Body of TUV SUV America INC reflects Eigen Commitment to meeting the Increasingly Stringent Environment Quality Requirements and Affirms our Dedication to Total Quality and Regulatory Requirements. AS 9100 D and ISO 9001:2015 specifies the requirements for an environmental management system that an organization can use to enhance its environmental performance. ISO 9001:2015 is intended for use by an organization seeking to manage its environmental responsibilities in a systematic manner that contributes to the environmental pillar of sustainability.